Mariah Carey is reportedly dating a major film director. The Always Be My Baby singer split from Nick Cannon in 2014. And it’s now reported she is engaged in a love affair with Hercules director Brett Ratner. Mariah turned 45 years old on March 27 and Brett’s birthday is just a day away from hers, with the filmmaker turning 46 years old on March 28. And according to the outlet, the pair are celebrating their new ages together with a joint trip to the Caribbean. A source tells Radar they departed from Los Angeles to their destination on a private jet owned by Australian billionaire James Packer. Once they get to tropical paradise, it’s claimed they will be sailing around on $70 million super-yacht Ultima III, which features a jacuzzi and eight state rooms. It seems the pair have been spending a lot of time together recently, as Brett shared a picture on Instagram of himself with Mariah and rocker Courtney Love while the trio were dining out at popular restaurant Craig’s in West Hollywood. “I love these ladies,” he captioned the March 24 post. 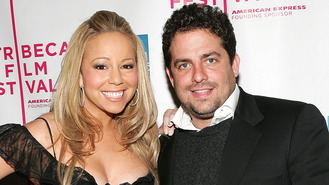 Mariah has been friends with Brett, who is behind the Rush Hour series of films, for several years. She and Nick, the father of her three-year-old twins Moroccan and Monroe, separated after six years of marriage in August of last year. Taylor Swift is “happily” allowing Apple Music to stream her album 1989. Alicia Keys writes better songs now she's a mother. Lil Wayne has been accused of threatening to kill a bus driver. A musical inspired by Alanis Morissette's iconic album Jagged Little Pill will hit the stage next year (18). Olivia Newton-John has postponed her North American tour to undergo treatment for breast cancer. A loved up Justin Bieber hugged and embraced fans while sampling wine at a New York vineyard. Cher is among the Hollywood stars in mourning over the death of her late ex-husband Gregg Allman.